The House of Representatives, led by Speaker Feliciano Belmonte Jr., formally presented to NAMRIA House Resolution No. 174, commending the agency for the successful preparation and defense before the United Nations Commission on the Limits of the Continental Shelf the Philippine Submission for an extended continental shelf in the Benham Rise Region. 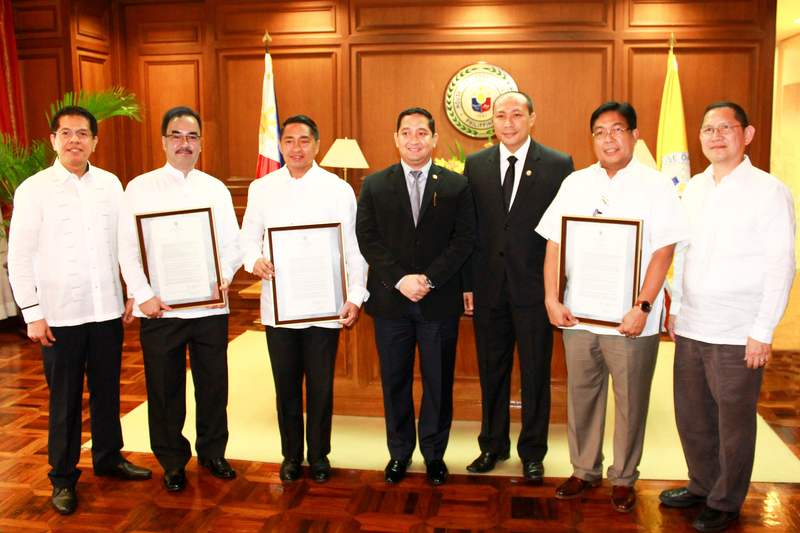 Held at the Social Hall of the Office of the Speaker on 09 October 2015, the ceremony was witnessed by Representative Francisco Ashley L. Acedillo, who co-authored the resolution with Representative Al Francis C. Bichara, and Representatives Rodolfo G. Biazon, Gary C. Alejano, and Romeo M. Acop. 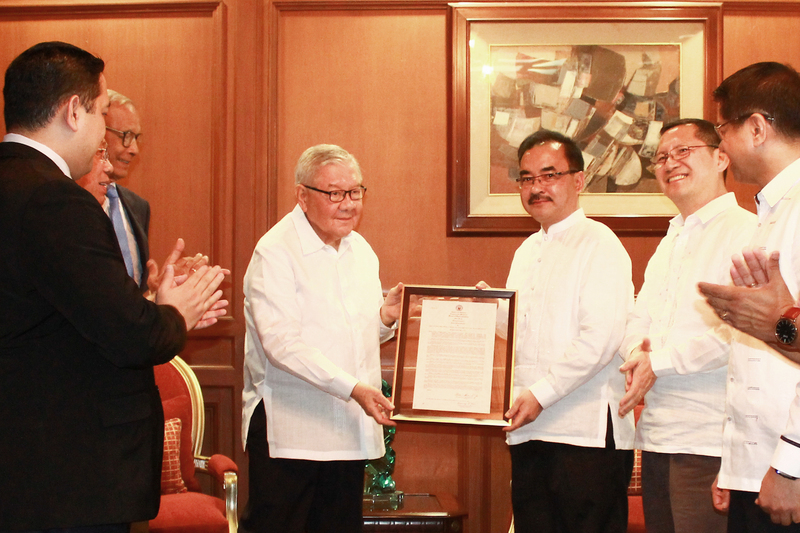 Speaker Belmonte presents HR174 to Administrator Tiangco. Administrator Peter N. Tiangco; Deputy Administrators Efren P. Carandang and Jose C. Cabanayan Jr.; Hydrography Branch (HB) Director, Commodore Jacinto M. Cablayan; and HB Officer In Charge-Assistant Director, Captain Herbert L. Catapang were present during the awarding ceremony. 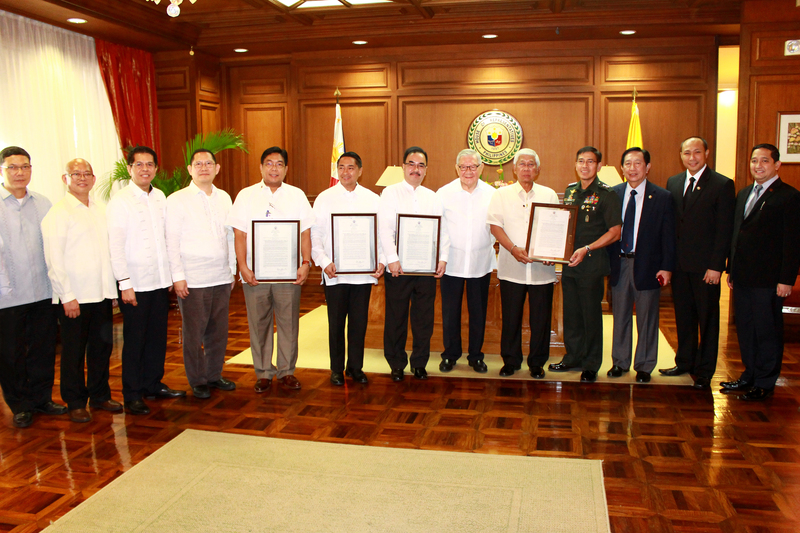 Aside from NAMRIA, the other awardees were the National Security Council, Department of Foreign Affairs, and Philippine Navy. 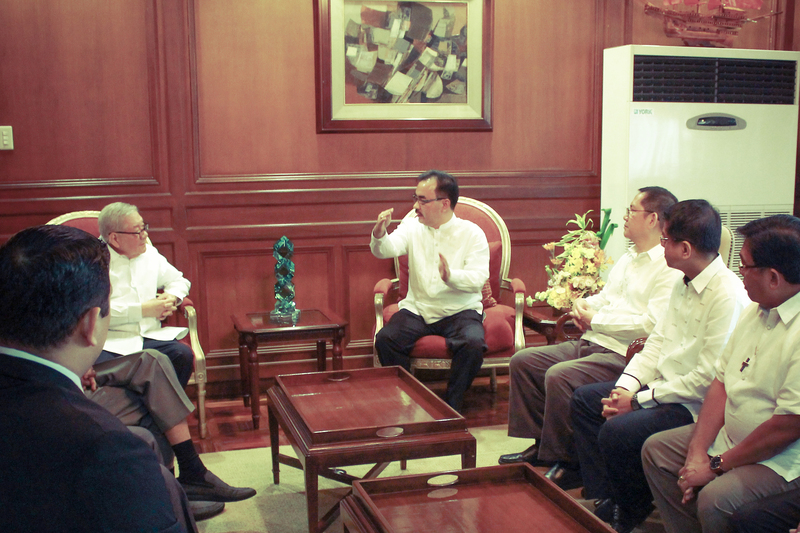 Administrator Tiangco discusses with Speaker Belmonte the work done by NAMRIA on the country’s ECS in the Benham Rise Region.